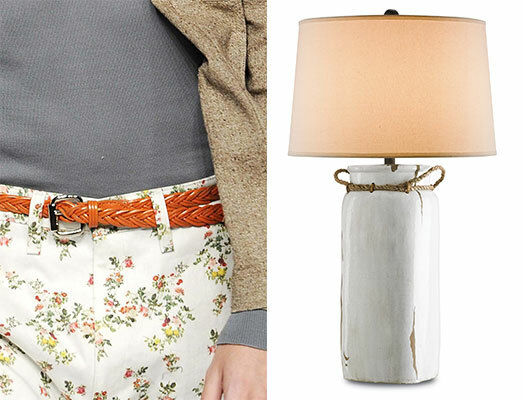 Our Sailaway Table Lamp echoes the styling of this Vivienne Westwood ensemble of a casual skirt belted by a skinny, brown, rope-inspired belt. 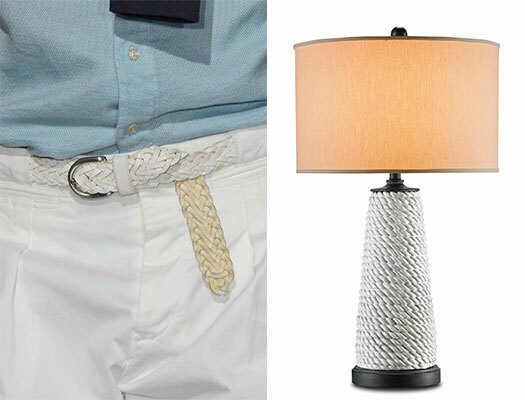 The body of our Seafellow Table Lamp is wrapped in rope atop an Antique Black and Gray finished base. Classic white with just the right amount of detail, the Seafellow is reminiscent of YMC’s braided rope belt. 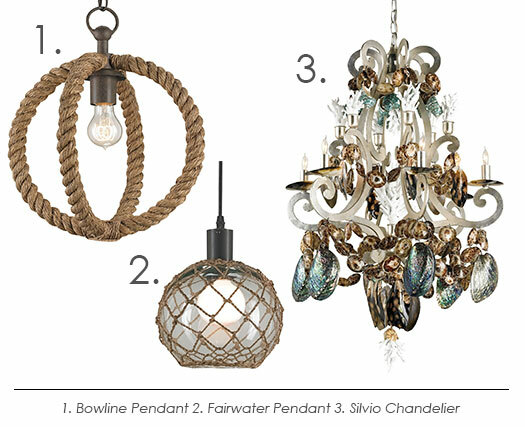 This trio of hanging lights emphasizes the variety of products that can all be considered ‘nautical’. Each with a distinct voice but, together they balance the theme quite beautifully. Feeling inspired? Tell us your favorite ways to use nautical details! This entry was posted in Currey & Company, Products and tagged Accessories, Chandeliers, design trends, Lighting, Natural, nautical, organic shapes, Rustic, seashell, Table Lamp, White on July 29, 2014 by Currey & Company.